we need content for our new credit repair website. 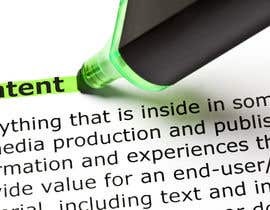 the content should be fresh and new, not copied from current sites and unique. the content should cover every aspect of credit repair. we will pay $1 for every 100 words. 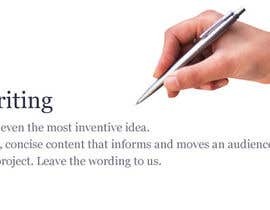 each topic should be as broad as you can write, can be upto 1500 words. off course topic and content need to be relevant, not repeat at all. each topic should have minimum 5 keywords depending upon size of topic.5 keywords every 300 [login to view URL] do not use excessive keywords or too less keywords. work will be passed through copyscape. we do not need individual articles but series of topic on one subject. 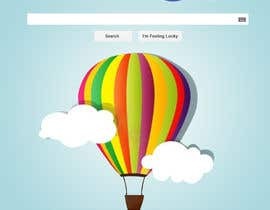 we are a blog site on financial [login to view URL] sell self help credit repair software on the site and also id theft [login to view URL] site also provide resource guide and information of self credit repair and id [login to view URL] are looking for information and sales oriented content. topics need to be covered. these topics are sample only. 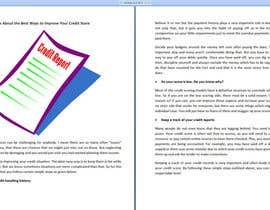 you need to find more topics covering the subject :"credit repair"
how to do self credit repair? how credit score is calculated. how credit report is prepared. who reports credit accounts to credit bureaus and how offten. why you need credit score. how to do self credit repair. how credit rapair comapnies works. how to dispute credit accounts. how self help credit repair software works. what is the cost of bad credit. what is credit repair services? How long should it take to raise my credit score? Once an item is removed from my credit report, can it come back? What items can legally be removed? is credit score affected if i check it my self. 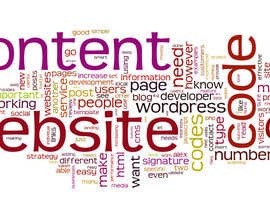 do content writing on various topics. However, I am a business graduate and have written articles on credit, bad credit, loan applications in relation to credit rating, insurance and more.. I am a professional writer and I am running a team of native article writers ( USA,Uk. Kenya). They are working for me more than two –three years. I do proofreading before sending to the client. So you will get perfect work. Do not worry about deadline. Try me out, you might be pleasantly surprised. I have read all the details. Ready to work !! Pay me only once you're 100% satisfied with my work. I am ready to provide you high quality work. I am a professional full time academic research writer fully proficient in HARVARD, APA, MLA, Chicago and Oxford writing styles. I am competent in writing dissertations, thesis, reports, case studies, personal development plans, personal statements, marketing plans, comparative studies (companies/countries), review of literature and systemic literature review. I am able to carry out research utilizing mixed method, qualitative or quantitative research. My services range from undergraduate to Ph.D. academic level and I have written papers on management (organizational/business management including but not limited to Organizational/Business strategy, Strategic analysis etc. ), HRM (Strategic HRM, IHRM etc. ), Operations management, Marketing (plans, positioning etc. ), Chemistry, Nursing, Psychology, Political Science, History, Geography, World Affairs and Religion.